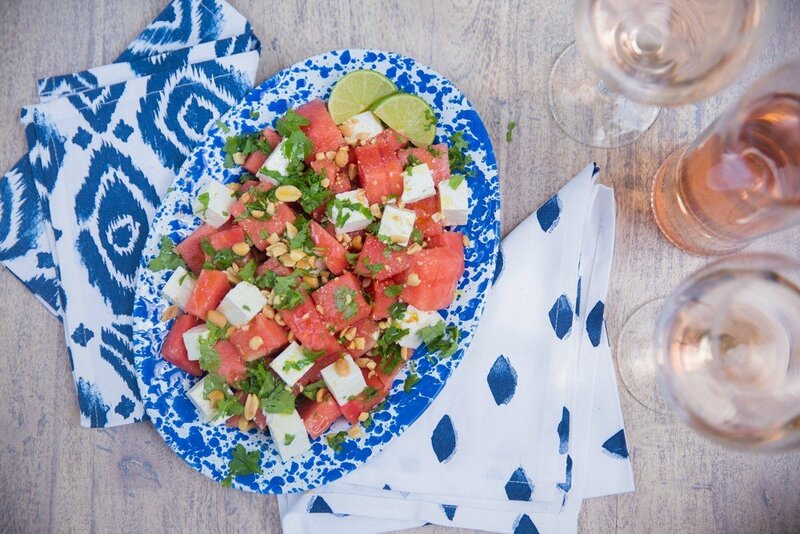 Watermelon Salad – So fresh and SO easy! This is quite simply the most delicious salad you’ll try all summer. Sinfully easy to make, beautiful, vibrant, fresh, perfect for a lazy lunch at home or as a take-a-long to a summer garden party. Particularly with a nice chilled glass of rosé when it’s hot out. Pop your melon into a bowl or onto a serving plate. 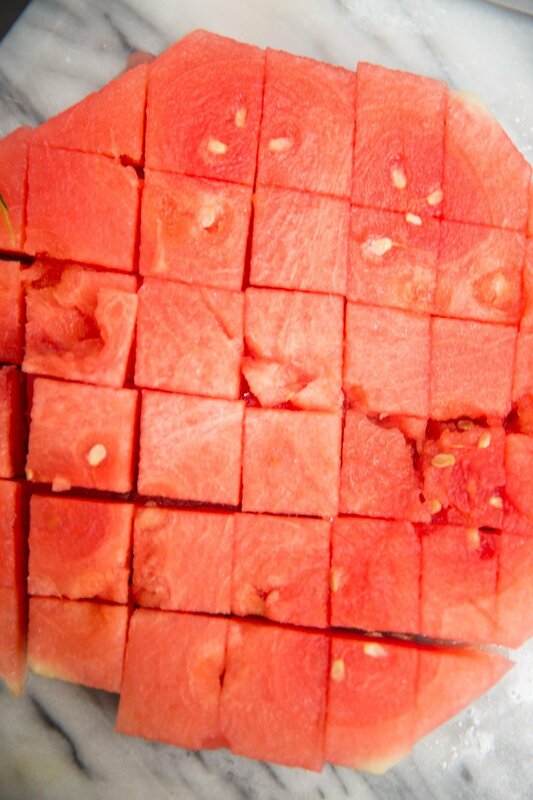 Cube your feta and sprinkle around the melon. Grab a handful of coriander, hold over the salad and snip with scissors until it’s sprinkled all over the top. Crush your peanuts with something heavy (easier if they’re in a sandwich bag) then sprinkle over the top. Squeeze your lime over everything and drizzle with olive oil. The perfect center piece for any summer table. Easy to take to work for lunch-al-desko too, as there’s no sloppy dressing. Just the Greek flavours I’ve been craving since waving goodbye to Mykonos. Wrap up your left over melon, you’re going to want to make another bowlful tomorrow!